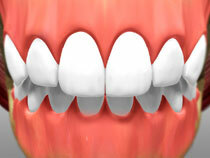 Full Mouth Restoration - Stephen M. Sgrazzutti D.D.S. If you haven’t had access to the proper dental care for years—or for a lifetime—you may be suffering from worn, discolored, missing, chipped or otherwise broken teeth. Not only does this affect your self-esteem; it can also affect the way you speak and chew. But Stephen M. Sgrazzutti D.D.S. 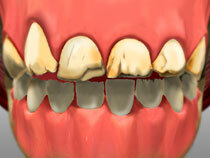 can help with full mouth restorative treatment. By combining a variety of dental procedures and techniques including periodontal and endodontic therapy, bridges, crowns, veneers and dental implants, Stephen M. Sgrazzutti D.D.S. can give you a beautiful, healthy smile of which you can be proud.